Isn’t that a good promise? Here it says that just like rain comes down from heaven and waters the earth, so shall His word be. What happens if no rain comes down? A drought, and the land becomes a desert. I understand the Sahara Desert is growing at a fairly rapid rate. The lack of rain is spreading so it turns paradise into a desert. So, rain is very important. We can see its effects. Here in West Virginia, if you look outside and go down the road, you see that the hills are covered with greenery. What is that evidence of? What does that tell you? It’s been raining, right? The further I go toward the western part of the United States the greenery gets less abundant, and pretty soon it is almost gone. There is just brown grass and cactuses. You can tell where the rain has been because the more rain there is the more abundant the greenery is, and plants flourish. Very soon there will be a famine in this land. “Behold, the days come, saith the Lord GOD, that I will send a famine in the land, not a famine of bread, nor a thirst for water, but of hearing the words of the LORD: And they shall wander from sea to sea, and from the north even to the east, they shall run to and fro to seek the word of the LORD, and shall not find it.” (Amos 8:11, 12) We must take advantage of the freedom we have now to read the Bible and prepare for a time when it will not be so easily done. I want us to notice something more In Isaiah 55:11. God said, “So shall my word be that goeth forth out of my mouth: it shall not return unto me void, but it shall accomplish that which I please, and it shall prosper in the thing whereto I sent it.” What accomplishes what God pleases? His word! Can you accomplish what God pleases? No! The Bible says, “Through faith we understand that the worlds were framed by the word of God, so that things which are seen were not made of things which do appear.” (Hebrews 11:3) Faith is trusting in the word of God. By faith we believe that God created the heaven and the earth by His word. Continuing we read, “Without faith it is impossible to please him: for he that cometh to God must believe that he is, and that he is a rewarder of them that diligently seek him.” (Hebrews 11:6) Did you catch that? It says without faith it is impossible to please Him. That tells us that we cannot do it on our own. Faith is depending upon God’s word to do what it says. God says His word shall accomplish that which He pleases. So, it’s not us who accomplish what God pleases but it is God’s word in us that accomplishes it. That is why it is impossible to do what God pleases without faith—because faith is what allows the word of God into our lives to do the work. So, when we read the word of God we are not to say, “I must do this, I must do that, I will do it.” That is not the way we are to come to God’s word. Instead, we are supposed to come to His word and say let God’s word do that in me instead of me doing it. Let God do what He says. Do you see the difference? Instead of me doing what God says I must let God do what He says in me and for me. The Bible says, “Let the word of Christ dwell in you richly in all wisdom; teaching and admonishing one another in psalms and hymns and spiritual songs, singing with grace in your hearts to the Lord.” (Colossians 3:16) We must let the word of Christ dwell in us richly, or abundantly. In other words, let the rain come down in torrents, in showers; let lots of rain come down. Why would we want Christ’s word to dwell in us? What will happen if we do? It will sanctify us, it will cleanse us. There are a lot of things it will do, but most importantly it will accomplish what God pleases in us. It’s not us who are going to do it, but Him. The more richly you let His word in the more richly and abundantly you’re going to do what pleases God. Because it is Him working in you, it is His word. So, what does He tell you to do? He doesn’t say just read the word and do it. He says read the word, study the word, let it inside of you. Let it come in and it will accomplish what He pleases. That’s what He tells us to do, let that word in. The Bible says, “For this cause also thank we God without ceasing, because, when ye received the word of God which ye heard of us, ye received it not as the word of men, but as it is in truth, the word of God, which effectually worketh also in you that believe.” (1 Thessalonians 2:13) So what does the word of God do when we let it in? It works! Who does the work? It’s God’s work, it’s God’s word doing the work in us, not us who are to do the work. But what if we do the work? What good does that do? The Bible says all of our righteousness, all of our good works, are as filthy rags. And what do you do with a filthy rag? You just have to get rid of it and get a clean rag because a filthy rag isn’t worth anything. That’s what the Bible says about our righteousness. If you are doing it on your own then the Bible says it is filthy rags. The Bible even talks about people who don’t have love. It says they give all their money to feed the poor, it says they even give their bodies to be burned, but if they have not love it profits them nothing. (1 Corinthians 13:3) In other words, they are doing it on their own. They are not letting God do it in them. That’s just like filthy rags, it’s not worth anything. What is a lie? A lie is saying something that is not so. If I say that a white chair is green, I’m telling a lie. But if God says it’s green, what happens? It’s not a lie because as soon as He says it, it becomes green. Because His word is powerful and that’s the way His word is. When He said let there be light what happened? There was light. He didn’t have to go and manufacture it; all He had to do was speak the word and light appeared. When He said let the earth bring forth green trees and grass what happened? Immediately the grass came forth, the grass was there. All He had to do was speak the word and it immediately happened. We need to realize that faith is depending upon God’s word to do what it says. He says, “My word will accomplish what I please.” He doesn’t have to speak the word and then go and do it. All He has to do is speak the word and His word has the power in it to do what that word says. 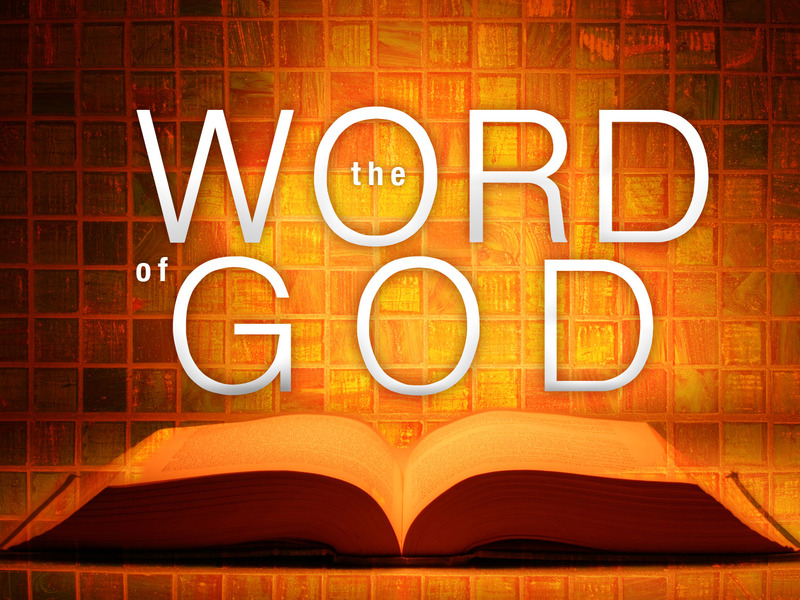 The Bible says the word of God is living and powerful, and His word is able to do what it says. The Bible says, “Whereunto I also labour, striving according to his working, which worketh in me mightily.” (Colossians 1:29) How does that work? How does it get accomplished in him? By letting the word of Christ dwell in him. Let God’s word come in and then what will happen? It will begin to work. It will begin to accomplish what God pleases; His word is able to do this. The Bible says, “For it is God which worketh in you both to will and to do of his good pleasure.” (Philippians 2:13) So, God is the One who works His good pleasure in us. Back to that question I asked earlier: Is it possible for you to please God on your own? It’s impossible! No matter what, you can’t do it, because no matter how hard you try your righteousness is as filthy rags. It’s only God who can do the work in you to please Him; it’s not you who does it. It’s His word. So our job is to let the word in to do the work. Now the biggest problem with God’s word doing any work in us, is us getting in the way and not letting it have its free course. You need to let God’s word in to do the work. The Bible says, “By the word of the LORD were the heavens made; and all the host of them by the breath of his mouth.” (Psalms 33:6) So, how were the heavens made? By the word. All God had to do was speak and it was. Look at what it says in verse 9, “For he spake, and it was done; he commanded, and it stood fast.” So all God did was speak and it was. That’s the way it was then, and it’s the same way in us today. God speaks and it’s done. For example, when I first gave my life to the Lord I was very ignorant about what it meant to follow God. I didn’t know what I was supposed to do. I didn’t know how to pray. There were a lot of things I was ignorant about, but one thing that helped me more than anything was when my dad told me to ask God to give me a new heart. He showed me where David asked God, “Create in me a clean heart.” (Psalm 51:10) God creates a clean heart in us by His word. That’s how God creates things. The very same way that God created the world, He creates in us a clean heart, He creates righteousness. The only way He creates anything good in us is by His word. He speaks and it is so. God promised, “Then will I sprinkle clean water upon you, and ye shall be clean: from all your filthiness, and from all your idols, will I cleanse you. A new heart also will I give you, and a new spirit will I put within you: and I will take away the stony heart out of your flesh, and I will give you an heart of flesh. And I will put my spirit within you, and cause you to walk in my statutes.” (Ezekiel 36:25-27) Who is doing the work? It’s God doing it. It doesn’t say that you are going to do it. He is going to do it Himself. God is the One who causes us to walk in His ways. He promises to give you a new heart. He says I am going to do this. Whose job is it to give you a new heart, to change your heart, to change your thoughts and your mind? It’s God’s job, all we have to do is let Him do it. David pleaded, “Create in me a clean heart.” God promises to do it. My dad asked me to trust that God will give me a new heart because He promised. God can’t lie! He’s not going to promise you something and then back out at the last minute and say, “Oh I can’t do that.” That’s not the way God is, God doesn’t lie to us. He says, “I’m going to give you a new heart,” and then you ask for a new heart, and He is faithful and just to forgive us of our sins, and to give us a new heart. My dad told me to trust that God had given me a new heart even though I would not immediately feel anything different. He said, “Just continue to trust that God did what He said He would do, and thank Him because He has done it. You won’t notice it immediately but very soon you will notice there has been a change. After a few days you’ll see the evidence in your life that God has given you a new heart.” So, that’s what I did. I trusted God to do what He promised. After a few days I noticed that something had taken place, that God had given me a new heart. I noticed that I responded differently when temptations came my way. It’s all based on faith in His word. It is His word that did it. It wasn’t me. I didn’t give myself a new heart. It was God who did it. All I did was trust in His word. I let the word in. The Bible says God’s word is going to do it. I just let that word in, expecting it to do what it says. Let’s look at 2 Peter 1:4. It says, “Whereby are given unto us exceeding great and precious promises.” These promises are exceeding great. They are not just great, they are exceeding great and they are precious. They mean more to us than life itself. 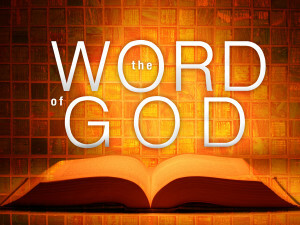 That’s why Jeremiah could say, “Thy words were found and I did eat them” (Jeremiah 15:16), and Job said, “I have esteemed the words of his mouth more than my necessary food.” (Job 23:12) In essence he was saying, “I would rather have your word than my next meal.” That’s the way Job was, and that’s the way we need to be with His word. That’s how precious it is. That’s how precious His promises are. It says, “Whereby are given unto us exceeding great and precious promises, that by these…” By what? By these promises “you might be partakers of the divine nature.” How are you partakers of the divine nature? By His promises! What is the divine nature? The Spirit of Christ! When He is in us we are partaking of the divine nature. And how do we get that? By faith in the promises. Do His promises do us any good if we don’t believe them? No! “Having therefore these promises, dearly beloved, let us cleanse ourselves from all filthiness of the flesh and spirit, perfecting holiness in the fear of God.” (2 Corinthians 7:1) These promises are given to us for a purpose, that we might use them to overcome sin in our lives and continually advance in our Christian experience. The Apostle Peter said that we are “Born again, not of corruptible seed, but of incorruptible, by the word of God, which liveth and abideth for ever.” (1 Peter 1:23) Being born again is receiving a new heart. We are born again by the word of God. The only way we can be born again is by trusting in His word to do what it says. Look what it says next, “Which liveth and abideth forever.” I know it’s strange to think of God’s word as living. How can God’s word be alive when we see it here on the page? We need to realize and receive God’s word as living and powerful, as it is. Now, look what it says in verse 24, “For all flesh is as grass, and all the glory of man as the flower of grass. The grass withereth, and the flower thereof falleth away.” But God’s word doesn’t do that. It lives and abides forever. Now look at verse 25, “But the word of the Lord endureth for ever. And this is the word which by the gospel is preached unto you.” Did you catch that? The very same word that created the heaven and the earth, the word that lives and abides forever, the word that is full of power, Peter says, “This is the word that by the gospel is preached unto you.” The very same word that created the heaven and the earth, the very same word that said “Let there be light,” and there was light, is the same word that is preached to you through the gospel. So, when God says, “I will create in you a clean heart,” then that is the very same word that created the heaven and the earth and it can, and will, do what God pleases in us if we just let it in. We must say, “Okay, Lord, you said it and I’m going to take you at your word.” God loves when His people do that. That is what He wants us to do. Remember what it said in Isaiah 55:11. That was the verse we started with. It says, “So shall my word be that goeth forth out of my mouth: it shall not return unto me void, but it shall accomplish that which I please, and it shall prosper in the thing whereto I sent it.” So, wherever God sends His word something happens. What He pleases gets accomplished. Now, look what it says in Acts 13:26. It says, “Men and brethren, children of the stock of Abraham, and whosoever among you feareth God, to you is the word of this salvation sent.” Isn’t that beautiful! It says that this word is sent to you. God already promised that wherever He sends His word it is going to accomplish what He pleases, and He says that this word is sent to you. To each one of you here today, to whomever can hear this word that God has spoken, it is sent to you, and He says it is going to accomplish what He pleases. Great faith is depending upon the word of God only to do what that word says. The centurion said, “Speak the word only.” He didn’t say speak the word and then go and do it, but speak the word only. He understood that that was all that had to be done and his servant would be healed. That is the same way that we have to trust in God. We must trust that His word is able to do what it says. Sometimes we struggle with various things in our lives, such as how to overcome sin. How can we overcome? Look what it says in John 15:3. Here Jesus said, “Now ye are clean through the word which I have spoken unto you.” Does that mean that we don’t have to take showers or baths anymore? No! That’s not what He is talking about. He is not simply talking about our physical bodies being clean. He’s talking about our hearts, our minds, our thoughts. Our lives are clean through the word which He has spoken unto us. That’s what He’s talking about. Our lives become clean through the word. The only way we are going to be clean is by letting that word come in and do the work in us. The Apostle Paul says, “Husbands, love your wives, even as Christ also loved the church, and gave himself for it; That he might sanctify and cleanse it with the washing of water by the word.” (Ephesians 5:25, 26) We are cleansed and washed by the word. When I first gave my life to the Lord I was pretty filthy as far as my lifestyle. Has that ever happened to you? Have you ever had a messy life, a dirty life? Anyway, that is the way my lifestyle was. I was in bad shape. When I came to God I had to come to Him just as I was because I couldn’t clean myself up. In fact, I tried one time, but it didn’t work. I tried to quit smoking marijuana just to prove to myself that I could do it, that I was not addicted. So, I told all my friends, and myself, that I was going to quit for two weeks. Do you know how long I lasted? I lasted two days. Two days later I went back to my bad habit. I just gave up on trying to quit. The time I tried to prove to myself that I could do it, I couldn’t. There were a lot of other things in my life that were filthy and dirty also. So, when I came to God I could come no other way than the way I was, filthy and dirty. Let’s read one of my favorite verses. Jesus said, “All that the Father giveth me shall come to me; and him that cometh to me I will in no wise cast out.” (John 6:37) It doesn’t matter what we’ve done or how filthy we are when we come to Him. He says, “I’m not going to cast you out. Even if you’re the worst criminal in the world.” Even Hitler! We often think of Hitler as one of the most wicked people in the world, at least in recent times, but if he would have came to Christ would Christ have said, “Wait a minute now, we don’t have room for you”? What would Christ have done? He would have been just like the father of the prodigal son, with His arms out running to meet him. That’s the way God is; He is eager for us to come to Him. When we make that first step towards home, towards Him, He’s going to make a hundred steps toward us, that’s the way God is. God said, “I am sought of them that asked not for me; I am found of them that sought me not.” (Isaiah 65:1) In other words, He is found of them that were not even looking for Him. That’s the way it was for me. I wasn’t looking for God when I found Him. He came looking for me. It’s like the parable of the lost sheep. Jesus said that when He had one lost sheep He is the one who went to find it. We were like that lost sheep and Christ comes, Himself, to look for us because He does not want us to be lost. The Bible says God is “not willing that any should perish, but that all should come to repentance.” (2 Peter 3:9) So, if we come to Him, He will in no wise cast us out. When I came to Jesus I was filthy. I had a lot of evil, wicked things in my life that I couldn’t do anything about. I came to Him and said, “Lord, I know I’m dirty, I don’t even know how to pray, please help me, please give me a new heart and come into my life.” He came in and cleansed me. I’m not perfect, I have a long way to go, but God has done amazing things, and I know that it wasn’t me. I know that it was Him because I couldn’t have done it on my own. I tried and it didn’t work. God is the only one who can do it. I just had to take Him at His word. He promised that He would create in me a clean heart. I just had to say, “Okay God, you said you can do it and I want to see it done because I can’t do it myself.” That’s the way every step of our lives is with God. It is He doing the work. If there is anything good in us it’s not us at all, it’s God in us doing the work. We need to recognize that and accept Him at His word. When He says, “Sin shall not have dominion over you,” (Romans 6:14) that’s the word of God. Sin shall not have dominion over you. Does that word have power? It does! All you have to do is let that word in and say, “Okay God, I’m going to take you at your word. You said that sin is not going to have dominion over me. This sin is having dominion over me. I need help; I want your word to do what it says.” And guess what will happen? His word will do it. It will accomplish what He pleases. Praise the Lord for that!